Wayne Berry is a renowned sales training, negotiation and sales management training expert, Wayne is also one of Australia’s top negotiating trainers. Wayne has been helping people all over the world increase their sales with integrity through his warm, sincere and easy to relate to style. With the development of the Online Sales Training Program and the Online Sales Management Mentor Program Wayne’s programs are now available to people world wide and can be completed at a time and place that suits you. 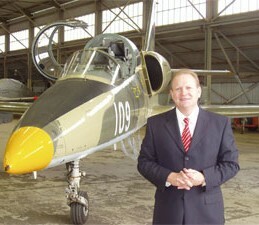 Wayne Berry CSP* is Australia’s own TOP-GUN Sales Coach and most in-demand speaker on sales, negotiating and sales management. He is ranked in the top 7% of professional speakers in the world by the USA based National Speakers Association. (*CSP is the highest International Accreditation of the NSA). He is a best selling author and one of Australia’s best known speakers. His four books, “Negotiating In The Age of Integrity”, “How To Get The Best Deal Every Time”, “How To Get The Best Sale Every Time” and “How To Lead and Motivate A TOP-GUN Sales Team” are now sold in 13 countries.